Many hotels have wisened up to the fact that Wi-Fi is a necessity for many travelers. 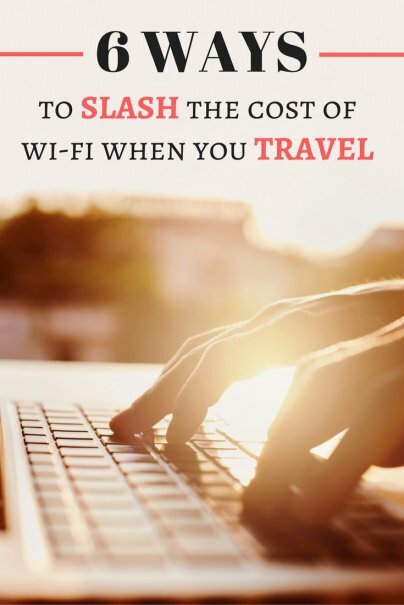 Some hotels choose to use this information to charge a fee for Wi-Fi use and earn a short-term profit; others choose to provide the service for free and get long-term business. When you book a hotel, pay attention to the amenities included. Some hotels charge for Wi-Fi access by the hour or by the night, so it can get expensive quickly. Even if you have to pay a higher nightly rate for a hotel with free Wi-Fi, it may be worth the price. Some hotel loyalty programs provide free Wi-Fi for members. Depending on the hotel chain, you may have to accumulate a minimum number of points, stay a minimum number of nights, or acquire a certain elite status to enjoy this perk. Some programs only require you to join for free to get free Wi-Fi. For example, Omni Resorts & Hotels and InterContinental Hotels Group both charge Wi-Fi fees, but let even basic members of their loyalty programs enjoy it for free. I personally like to use digital maps to find my way when I travel. Because I don't always have a data connection, Google Maps' offline features often come in handy. I simply load the part of the map I need when I have Wi-Fi connection, then have Google Maps save it on my smartphone. If you travel to a domestic location where you're not charged any roaming fees, make full use of your smartphone data connection. Before you travel, check if your smartphone supports tethering, which allows other devices to connect to your phone's data network. It's a bit like having your own little Wi-Fi router. All you have to do is enable tethering on your phone, then use your other device to find and connect to the phone's Wi-Fi network. Don't forget to contact your phone provider before you travel to find out if there are any extra fees to use this feature. If you travel abroad, you may still be able to tether a device to your phone, but the roaming fees may make it so expensive that you'd be better off paying for the hotel Wi-Fi. Look into using a local SIM card in an unlocked phone to enjoy local tethering rates. If you travel a lot, you can consider getting a dedicated device to connect to the Internet. One option is a USB modem, which is a compact stick that plugs into your laptop or tablet. You usually have to install special software on your device to use a USB modem, but it's portable and easy to use after your first time connecting to the Internet with it. You also need a data plan to use a USB modem, but it could be cheaper than what hotels charge if you travel within the country. If you travel abroad, you may be able to save some money by getting a local data plan. A mobile hotspot works in a similar way as a USB modem. Known as "Mi-Fi," this device is usually more robust than just a smartphone or a USB modem, with a longer-lasting battery and the ability to connect multiple devices at once. It's also not necessary to install special software to connect to the Internet with a Mi-Fi. You can probably get a Mi-Fi device for free or at a deep discount if you sign up for a data plan contract. If none of the above options seem practical for you, there are often public Wi-Fi networks you can use. Coffee shops are your best bet, but more and more businesses are offering free Wi-Fi access. You may be able to get free Wi-Fi at fast food restaurants, grocery stores, bookstores, and even gas stations. Just look for a Wi-Fi sign at the entrance. Public spaces in big cities may also provide free Wi-Fi access. For example, Taipei has free public Wi-Fi at train stations, libraries, hospitals, malls, and even some commercial and residential areas. Research your travel destination beforehand to see if the local government provides this service and where. Where do you go for Wi-Fi access when you travel? Please share your connection in comments! Thanks for the tip! I usually go to the malls to access free Wi-Fi. Usually Starbucks and Burger King have them for free too! Mostly though, I use USB modem especially if I have to work when I'm out of town.